A youngster pulls off his first grab on a snowboard during the Riglet PE Snowboarding program on Wednesday, Nov. 8. 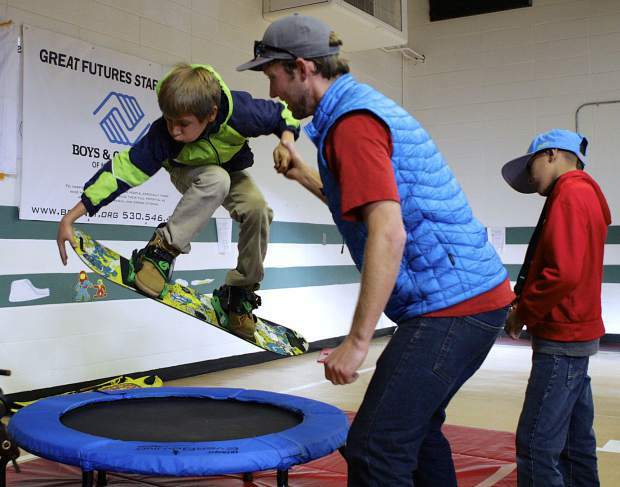 A group of 20 children from the Boys & Girls Club of North Lake Tahoe take turns doing their first tricks ever on a snowboard, making use of a small trampoline inside the Truckee Elementary School to jump, reach down and grab their board. It’s one of the final lessons of over an hour’s worth of basic snowboard instructions on Wednesday, Nov. 4, which were put on through a partnership between Burton Learn to Ride, the Boys & Girls Club of North Lake Tahoe, and Squaw Valley Alpine Meadows. This is the third consecutive year the classes have been held for the children of the Boys & Girls Club, and second in partnership with Squaw, with the program growing from a group of 20 youngsters doing four indoor sessions and a final outdoor session at Squaw Valley Alpine Meadows, to three groups of 20 participating in the same course. 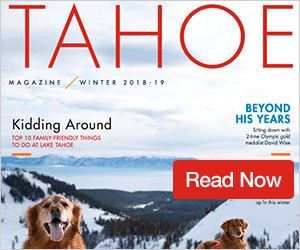 “We’re always looking for smart ways to partner with the big players in the community, and thought it would be an awesome opportunity to get kids up on the mountain,” said Stephany Arroyo Jones, Director of Fund Development for the Boys & Girls Club of North Lake Tahoe. 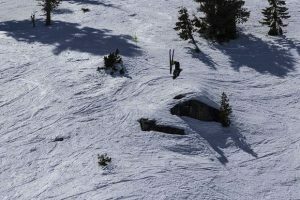 “A lot of them live here — they live miles from Squaw — and never have the opportunity to get on the mountain and actually try snowboarding. 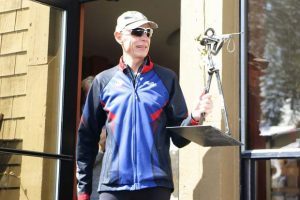 The class on Wednesday began with a video from Olympic gold medal winning snowboarder Kelly Clark, and was then led by Burton’s Jeff Boliba and instructors from Squaw Valley Alpine Meadows. The program, called Burton Riglet PE Snobowarding, uses Burton’s Riglet board, which is a small snowboard used for learning basic techniques, and other tools to teach kids the basics of snowboarding. Lessons involved the children pulling each across the cafeteria floor with ropes attached to snowboards, working on 180-degree turns, standing on skateboards, strapping in and racing each other through an obstacle course. The children in the group go through four days of the indoor lessons, and then head to Squaw for a lesson on the mountain. Last year, the Boys & Girls Club had to borrow the snowboard kit, which includes boards, instruction material, foam rollers, and other equipment, in order to put the event on. But this year through the Burton grant program, the club received a Burton PE Snowboarding Kit compliments of the Kelly Clark Foundation and National Winter Sports Education Foundation, according to a information from Squaw Valley Alpine Meadows. The event is an extension of the Boys & Girls Club Learn to Snowboard Program. For more information on the Boys and Girls Club of North Lake Tahoe visit, bgcnlt.org.